Ever since the Louisiana Purchase, New Orleanians have been resisting the concept that we are, in fact, “Americans”. Occasionally, we are reminded of our American heritage by 4th of July barbecues or occasional runs in the World Cup. I thought I’d post something about the troops because we, as a nation, tend to forget them as we go on with our everyday lives. Funny thing is, we wouldn’t have our everyday routine without them, and we shouldn’t wait for two out of the 365 ( aka Memorial Day and Independence Day) to honor the men and women in uniform. And, although our founding fathers are directly responsible for Independence Day, our troops have kept us free since then. The Gist: Veterans Boulevard honors all American veterans, past or present, deceased or living. It runs through a small portion of Orleans Parish (Lakeview) and across Jefferson and St. Charles Parishes (Metairie and Kenner). Appropriately, several veterans of WWII returned home and populated those areas, resulting in massive growth in the region. Also, Jefferson Parish was named after Thomas Jefferson, the author of the Declaration of Independence. Yesterday: Veterans Boulevard today is widely commercial; however, it was mostly undeveloped swampland until the 1950s. And, like most of our recent history, we can trace it back to WWII. Catherine Campanella writes in Metairie, “As young soldiers returned home to New Orleans and began raising families, they faced a housing shortage. Like many of their parents and grandparents before them, they moved slightly westward. Using GI Bills, they acquired new and affordable homes on larger lots than were usually available in the city” (8). The Lakeview neighborhood in Orleans Parish also grew immensely as a result of this boom. According to Campanella, the population of Jefferson Parish doubled between 1940 and 1950, and reached 50,000 by 1955. 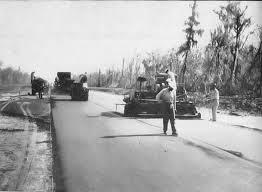 Pavement of Veterans Highway in 1955, when most of the metropolis we know as Metairie was nothing but cypress swamps and forest. Credit: Jefferson Parish Yearly Review. The main commercial sector of Veterans Boulevard runs through Metairie, which originally was called Chapitoulas (sound familiar?) for the native tribes that lived in the area before colonization. The name “Metairie” has been debated, according to Campanella. It could be a derivative of a French term for a type of farming (moitoire for “one-half”), as most early residents were small farmers who leased the land and shared 50% of his harvest. Or, it could refer to Jacques de la Metairie, who travelled with La Salle as a notary when the French first laid claim to what would be the Sportsman’s Paradise we all love and cherish today. Veterans Boulevard is a living (and bustling) memorial to all men and women who have fought for our freedom. Today: Modern developers have to look elsewhere to the West Bank or the Northshore because Metairie has been completely built out. A stark contrast from how the area got started. Though Veterans Boulevard was not blessed (or cursed depending on the situation) with the rich history that many other streets have, it makes up for that with what they offer. Granted, the traffic is a pain in the arse, but it has something for everyone. Several Mardi Gras parades (including the Irish-Italian Parade) go down Vets. If you like chain restaurants like Buffalo Wild Wings or Chili’s, there are plenty to choose. If you decry the chains and only eat at locally owned restaurants with amazing food, there are many like Parrain’s or Tower of Pizza. A wide variety of cuisine can be found on Vets with poboy shops, Asian restaurants, pizza and burger joints, and much more. If you like Byblos, Vets not only has that but also a Mediterranean market where (I keep hearing) you can buy a whole goat! In addition to Winn-Dixie and Rouses, Vets is home to several local, traditional grocers such as Dorignac’s and Zuppardo’s. Drive-thru daiquiri shops are everywhere. Shopping centers are plentiful, (I personally stay away from that madness as much as possible). There are a few “yat-tastic” bars (that also have amazing food) like the Swamp Room, and the sleazy lounges are honestly too many to count (suggestion: if you are the kind of person that likes the sketchy-ness of Ms. Mae’s or Snake n’ Jake’s after 3 am, then you may have a new stomping ground to explore). If you want upscale bars…well you may just have to go Metairie Road instead. Veterans may not have the “cool” factor that Magazine Street and St. Charles Avenue have, but it’s got just about everything. 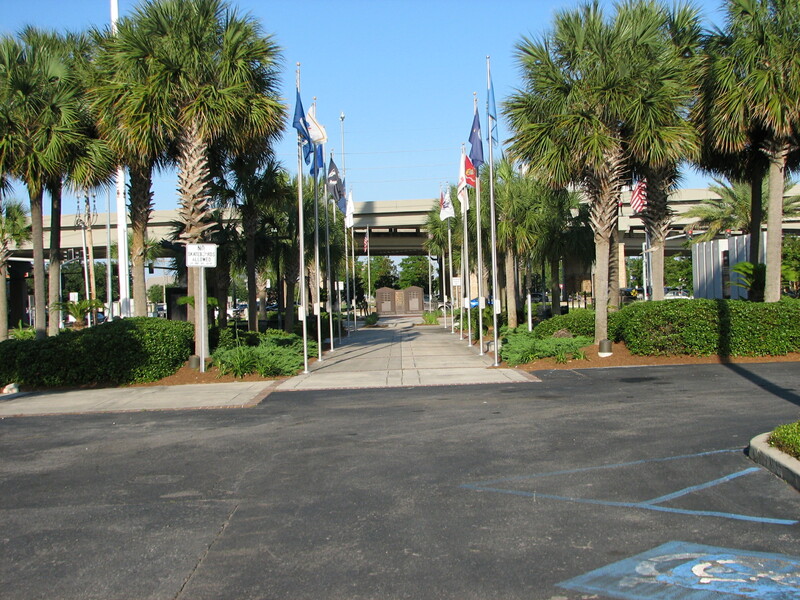 There is actually a memorial park at Causeway and Veterans, which is quite possibly the most congested intersection in Southeast Louisiana, and many commuters probably don’t even notice it as they speed by. During Mardi Gras season, this park has the “Family Gras” festival with live music for local residents who wish not to venture into the uptown or downtown madness with their small children. “Purple Heart Loop” immortalizes Louisiana soldiers who fought and died. It also has a memorial to local police and firefighters. 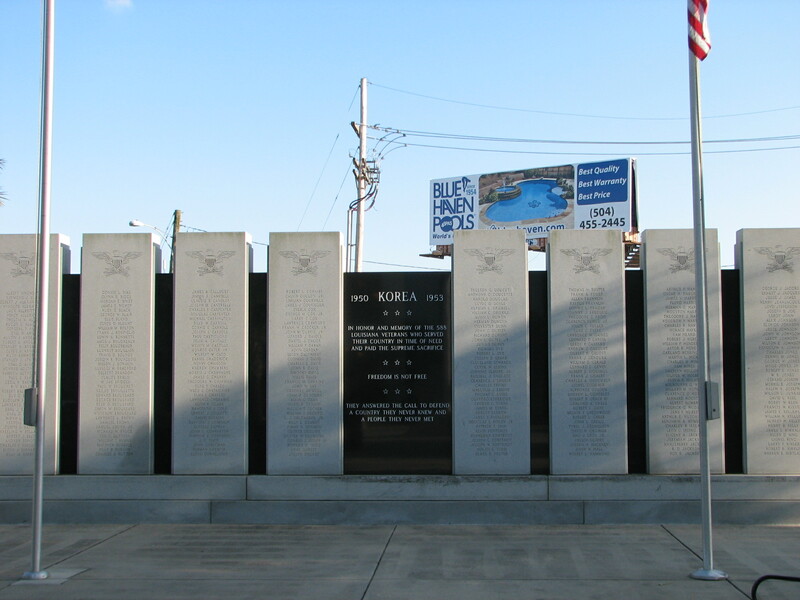 Korean War memorial for Louisiana soldiers. Veterans looks more like your standard American city than much of historic New Orleans. Developers tend to use current building trends of their day, and concrete slab foundations were the way of the time. Tomorrow: It’s hard to say where the future lies for Veterans or Metairie in general. This area could have flooded just as bad as Lakeview if chance had broke the Jefferson Parish side of the 17th Street Canal. If the flood protection holds up (I guess that goes with all of New Orleans and St. Bernard), I don’t see any drastic change happening. So, when we say we are not an American city but a European one, let’s take a step back and remember the U.S. veterans that thought/think otherwise. 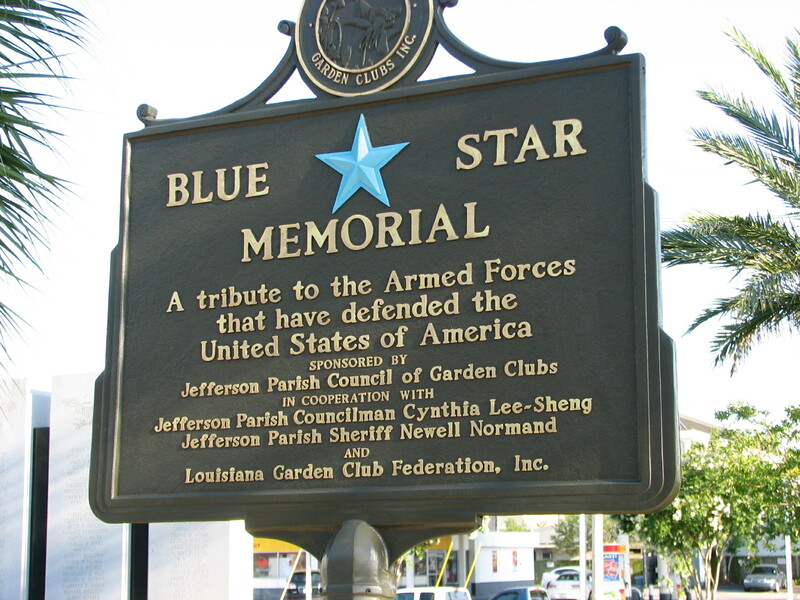 This entry was posted in Jefferson Parish, Mardi Gras, Metairie, New Orleans history, NOLA, U.S. Veterans, Veterans, Veterans Boulevard on July 16, 2014 by John Breerwood. More street blogs coming soon.